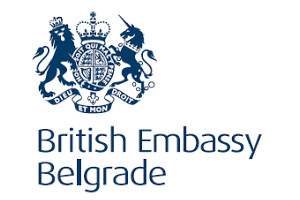 The British Embassy in Belgrade is the official representation of the United Kingdom of Great Britain and Northern Ireland in Serbia. It is responsible for developing and maintaining relations between the UK and Serbia. The Embassy, in co-ordination and co-operation with other key international organisations and diplomatic missions, works with (national) governmental and non-governmental partners in managing a portfolio of strategic reform projects. These are aimed at assisting Serbia on her way towards EU membership and internal and regional stabilisation, as guided by the FCO’ strategic objectives and specific programme frameworks. The British Embassy has supported BIRN Serbia activities for years, including most recently the Eye on Public Finances programme.